Founded in 2011, SoaR Gaming started as one of YouTube’s most popular sniping clans. Today, after several successful ventures into SMITE, Call of Duty, H1Z1, and many more, SoaR has achieved a reputation as one of the best esports organizations in the world. With a roster of the most exciting players on YouTube and Twitch, SoaR represents true excellence in pro gaming. 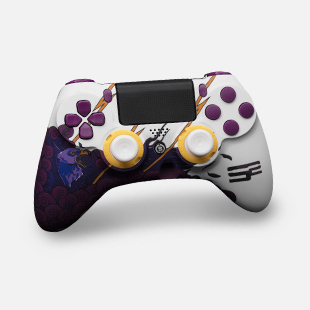 In a striking combination of white, purple, and yellow, the SoaR SCUF IMPACT and SoaR SCUF Infinity1 are a unique tribute to SoaR Gaming and their years of gaming excellence. 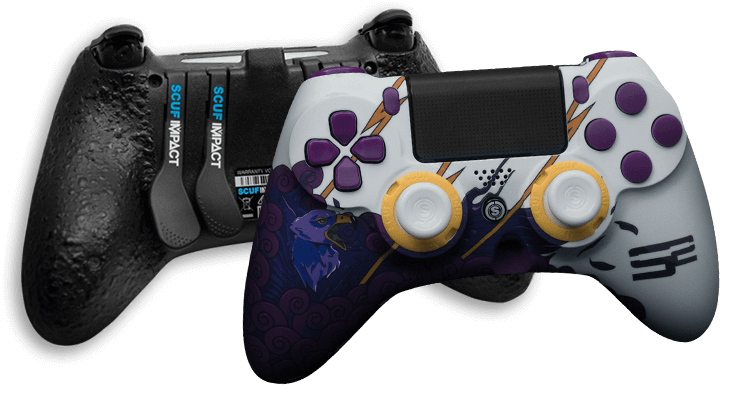 Highlighted with a predatory eagle and the SoaR logo, this controller stands out as one of SCUF’s most eye-catching. 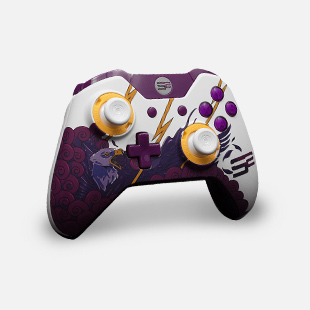 Equipped with patented innovations and technology, this revolutionary design is one that will remind you why SCUF is used by over 90% of all pro gamers.